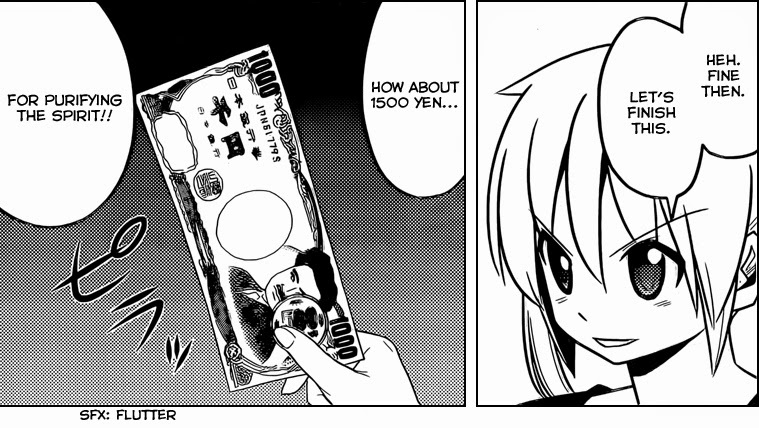 Yeah, I'm almost 100% sure that panel with Ikusa and Hayate was drawn with intentional implications in mind. 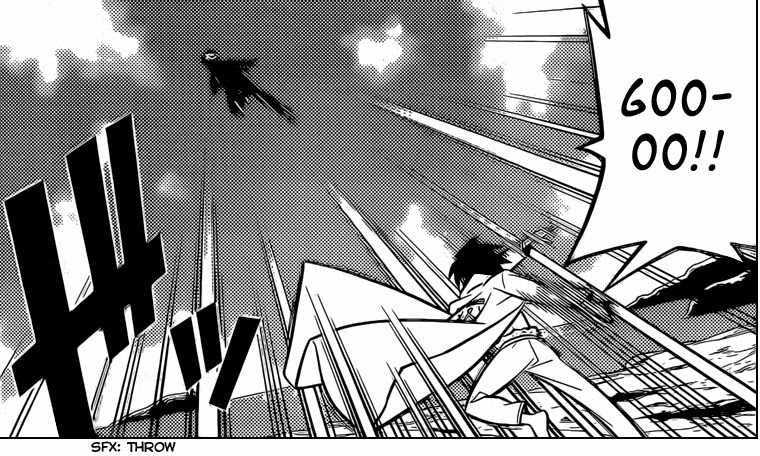 I was kinda annoyed by this chapter honestly. Mainly, that the cliffhanger last chapter amounted to nothing and could have been left out with no consequences. 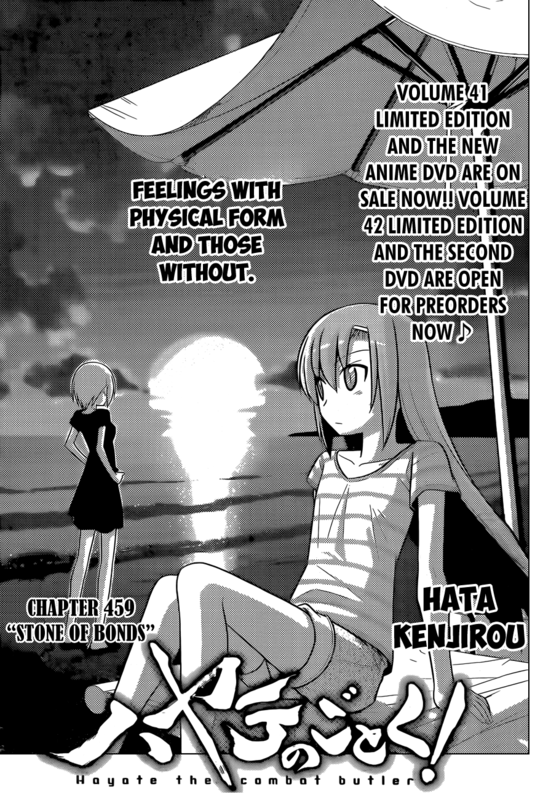 It's as if Hata feels like he has to add a cliffhanger every chapter. As well as what was made up to be a tough battle between the ayasaki brothers and Yukiji . 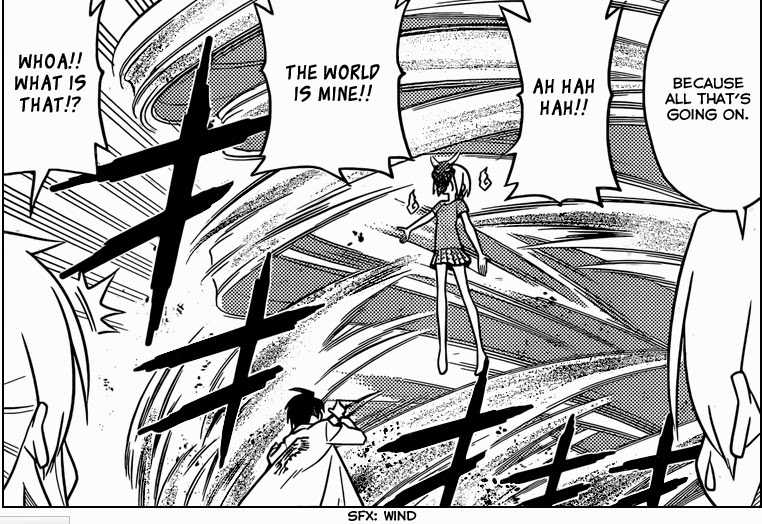 IT would have been exciting to see that the demon hadn't left HIna compleatly and still had her under control, making it two superpowered pairs of siblings against each other. 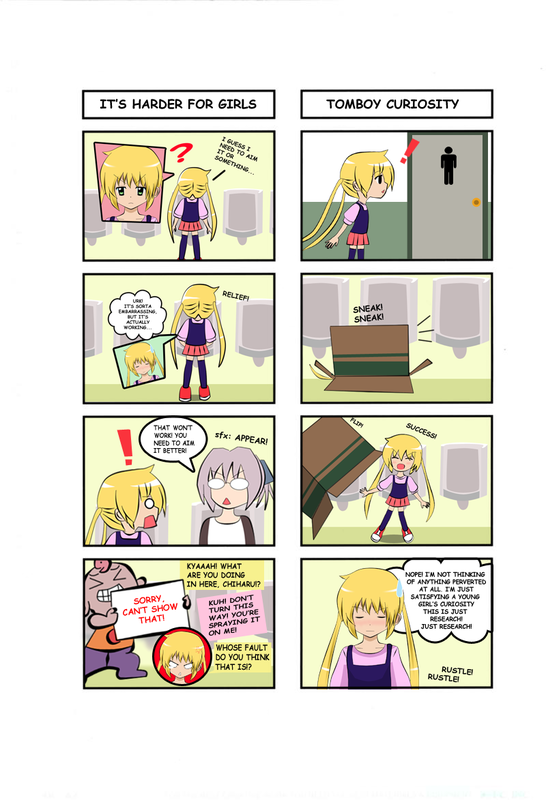 But instead, it just ended with Nagi being her old self and bribing Yukiji to stop. While funny, it was very anticlimactic. I can definitely see where you're coming from, but unfortunately, it seems Hata's chosen to go down this route of ending almost every chapter with a cliffhanger -- even if it turns out to be a whole lot of nothing. 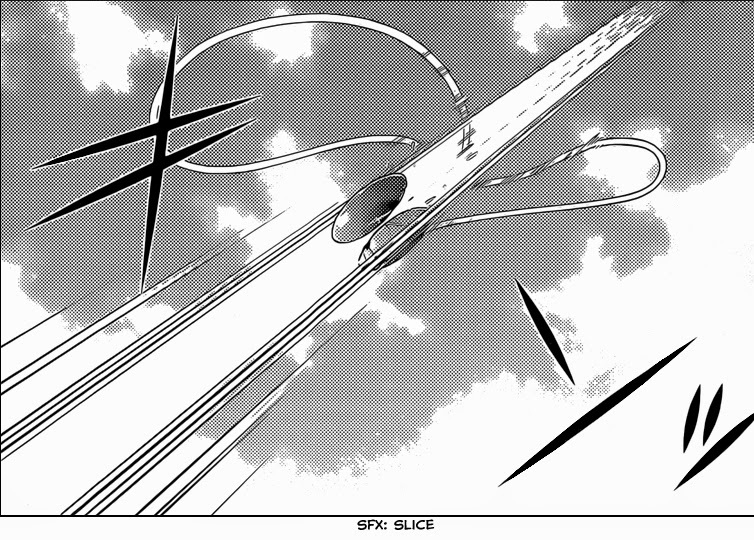 I guess Hata's not ready to show us an epic battle just yet without ending it with a joke. 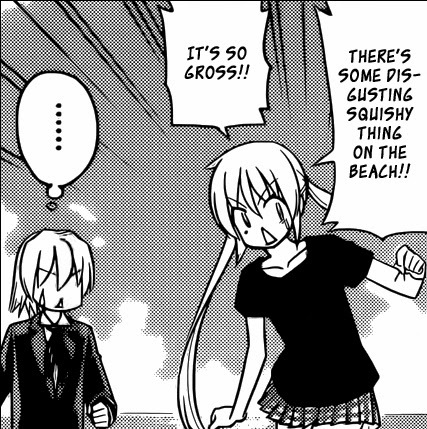 That seems to be the general theme of this whole beach arc. 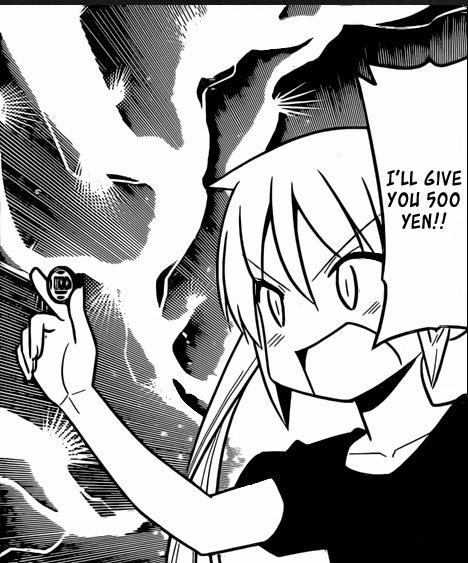 At the very least, Nagi does still need another King's Jewel to get her inheritance back and make the manga tie in neatly with the anime, so we can still look forward to that. There's also Athena and whatever business she's up to that she had to leave so suddenly.